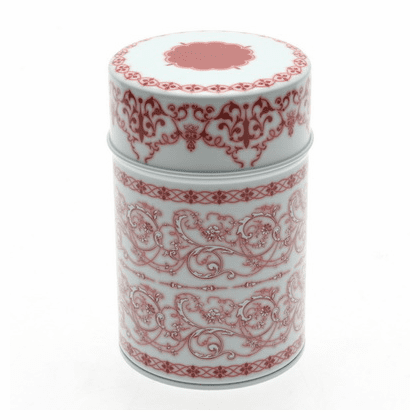 Red and white filigree pattern canister. Holds 150 grams (5.29 ounces). 2-7/8 in diameter, 4-5/8" tall. Not ceramic tea canister. Not dishwasher safe. Do not microwave.